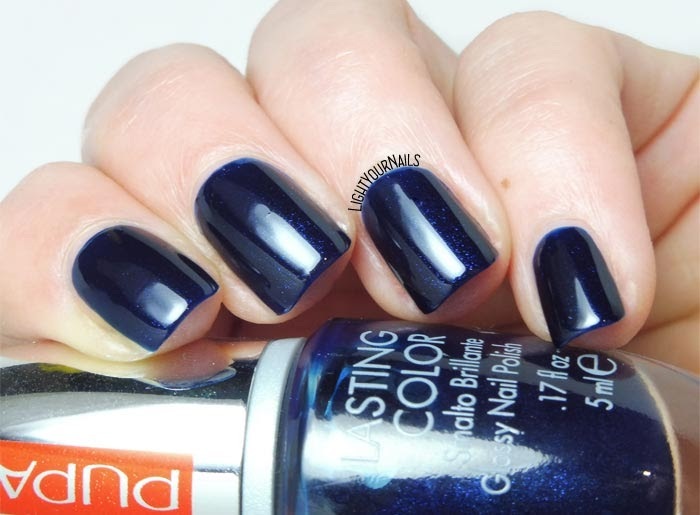 Pupa 702 Midnight Blue | Light Your Nails! Today I'm showing you quite an old Italian nail polish, which is still quite easy to find. 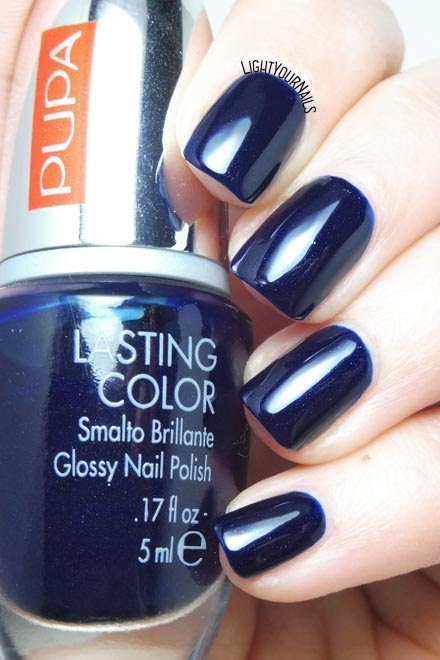 It's Pupa 702 Midnight Blue, a shimmer navy blue nail polish. 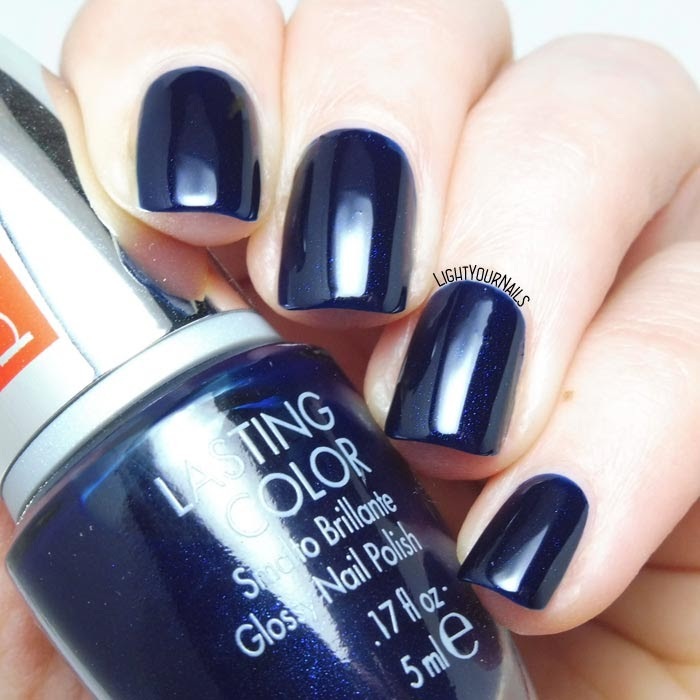 Unfortunately the shimmer disappears on the nails and it just looks like a dark blue creme. I like it anyway, it's just different than what you expect by looking at the bottle. Application is very easy when it comes to old Pupa's. It's opaque in two coats and dries quickly and glossy.